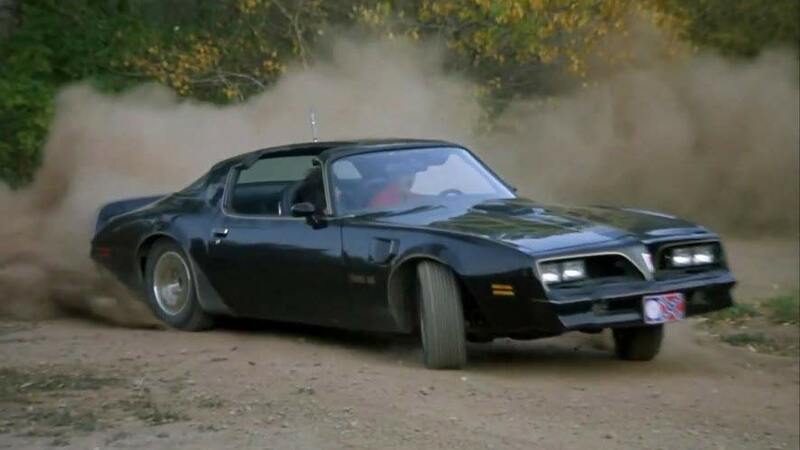 Some of the coolest cars in history were those that were featured in a cult classic movie. The setting of a movie combined with the classic design of the cars made the entire ensemble totally memorable. These are the kind of cars that made moviegoers dream of owning and racing them. Today, Cinema Vehicles is bringing you five of the most impressive sports cars in films. Despite our extensive picture car rental inventory, we simply can’t take credit for all of these cars — but they’re nevertheless among the vehicles that inspire the work our team does each and every day. From James Bond’s unforgettable Aston Martin DB5 in Goldfinger to the streetwise stunner Dodge Charger in the original The Fast and the Furious movie, we have compiled 5 of the most impressive sports cars of all time. Smokey and the Bandit is a quintessentially American movie: outlaws, rum running, and of course, classic sports cars. The movie stars Burt Reynolds and Sally Field, an outlaw and hitchhiker, who attempt to outrun the law as they transport illegal Coors beers from Arkansas to Georgia in under 48 hours. Throughout Reynolds and Fields’ adventure, they utilize a 1977 Pontiac Trans Am in order to speed across state lines to meet their deadline. While the Trans Am had not been envied as a must want sports car before the film, sales of the black and gold style Trans Am rose significantly after the film’s release. The film’s many drifting and car launching action scenes, along with Reynolds’ iconic performance as a rebel without a cause, made the Trans Am less like a family sedan and more like the getaway vehicle, for which it is recognized by today. The 1977 Pontiac Trans Am’s styling and power embodies the independent spirit found throughout American culture, and Cinema Vehicles was proud to be a part of it. That is why it makes our list for top 5 all time sports cars in films. When you think of high-end sports cars, you usually picture James Bond. The internationally recognizable spy drives this prominent British supercar in the third and fourth installments of the Bond franchise, Goldfinger and Thunderball respectively. Despite having cool gadgets equipped in the movie replica, like machine guns and an ejector seat, the Aston Martin DB5 was truly a luxury car with all the bells and whistles. The DB5’s 4-liter engine could propel the sleek vehicle in excess of 140 miles per hour and could accelerate it to 60 miles per hour in about 8 seconds. Beyond the interior specifications, the exterior design of the Aston Martin made it stand out throughout the Bond movies and to collectors after the movie’s release. One last reason why the Aston Martin DB5 is one of our top sports cars in films is it was the 1960’s car. From its low profile, yet classic sedan look to its unbelievable power under the hood, the Aston Martin exemplified the modern spy car. 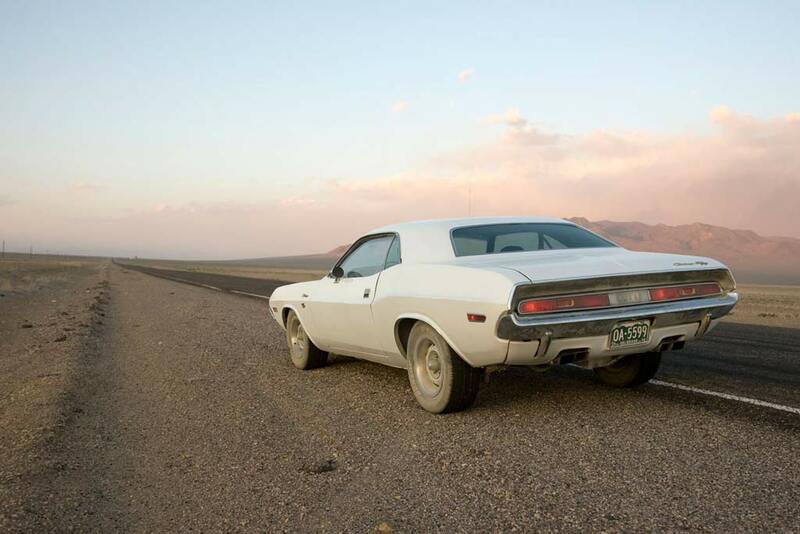 Next on our list is the 1970 Dodge Challenger R/T from the movie Vanishing Point. In the running for the top list of classic American movie cars with the ’77 Pontiac Trans Am above, the 1970 Dodge Challenger was a quintessential American muscle car. The plot of Vanishing Point centers on Kowalski, a Vietnam War veteran, who becomes a driver for hire and bets that he can drive from Denver to San Francisco in less than 15 hours. This bet leads Kowalski on a harrowing adventure driving at high rates of speed through the American West as he tries to beat the clock and win the bet. The 1970 Dodge Challenger was second generation in its series and was built for speed. A response to the wave of new age muscle cars coming onto the market, like the Mustang and Camaro, the Challenger dusted the competition with its power and design. The hood scoops and thin façade made the Challenger into a powerhouse of a vehicle capable of moving quickly across town or across the country. The Mad Max franchise might inspire visions of elaborate fantasy cars more than sports cars in films, but the original movie, which featured the 1973 XB GT Ford Falcon, certainly stands apart from the rest of the franchise. Set in a post-apocalyptic Australian outback, Max is a rogue cop who dispenses justice to outlaws who have taken over the landscape after oil has become scarce on Earth. The Ford Falcon that Max drives was extremely popular in Australia during the 1970’s and serves as an image of vigilantism. The all black color palette and sharp edges play to the Falcon’s role as a quasi-cop car and suits its vigilante image. 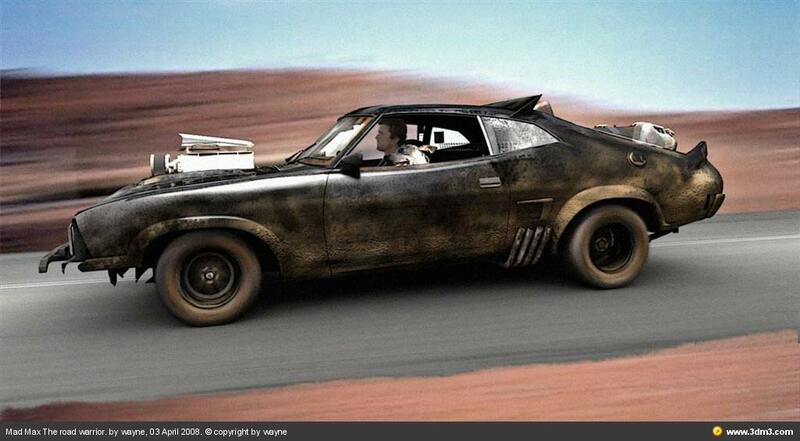 The Ford Falcon truly fit into the open road that underpins all of the Mad Max films. Our final top sports car is the one on this list that Cinema Vehicles’ custom builders can take credit for, and do so proudly: the 1970 Dodge Charger from The Fast and the Furious. It is a challenge to think of a more iconic car movie in the last few decades without thinking first about The Fast and the Furious. The original movie in the franchise starred Vin Diesel and Paul Walker as underground street racers in Los Angeles. Diesel plays one of the top racers in the local circuit and drives the Charger, and Walker plays an undercover cop who tries to foil the ongoing street racing. The Charger fits in the movie perfectly—it has customized specifications to make it faster and outcompete everyone. 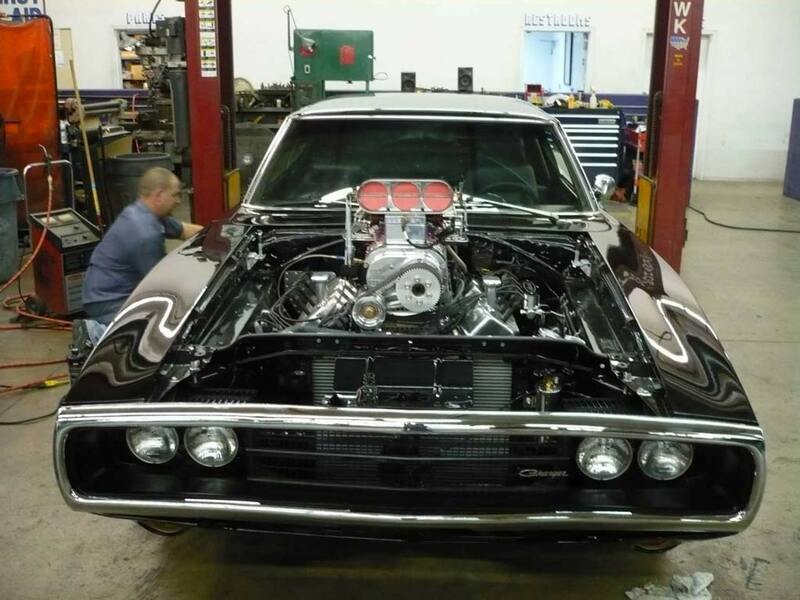 The Charger also looks like the perfect nightrider with its all black exterior and supercharger. Overall, the Dodge Charger is a must-include on this list of top sports cars in films. Where Can I Find More Sports Cars Like These? Big budget action movies today almost always feature great sports cars, and our team at Cinema Vehicles builds custom cars for many of these big budget movies. We love cars and the movies that include them, so if you like sports cars such as the ones we listed, check out our list of vehicles in movies. If you would like to inquire about custom builds, call (818) 780-6272.